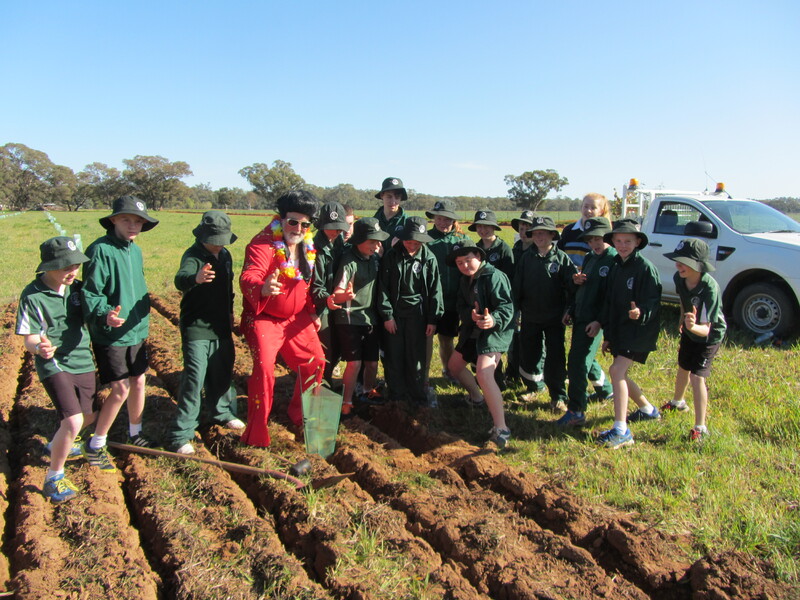 Our first Forbes Landcare Bushranger’s planting even is nearly upon us! And we are looking forward to seeing everyone on Saturday. In this phase of the project, we will be planting over 2,500 macrophytes and we are keen to make a good start with the social planting this weekend. If the word macrophyte is unfamiliar to you, basically, they are aquatic plants that grow in or on the edge of saline or fresh water. They can be either emergent (growing above the water line), submergent or floating. Macrophytes are an important component in both natural and constructed wetland areas and provide shelter and food for birds, fish and aquatic invertebrates. Just as importantly, these plants also aid in the removal of harmful nutrients in the water. We will be planting three species of macrophytes. 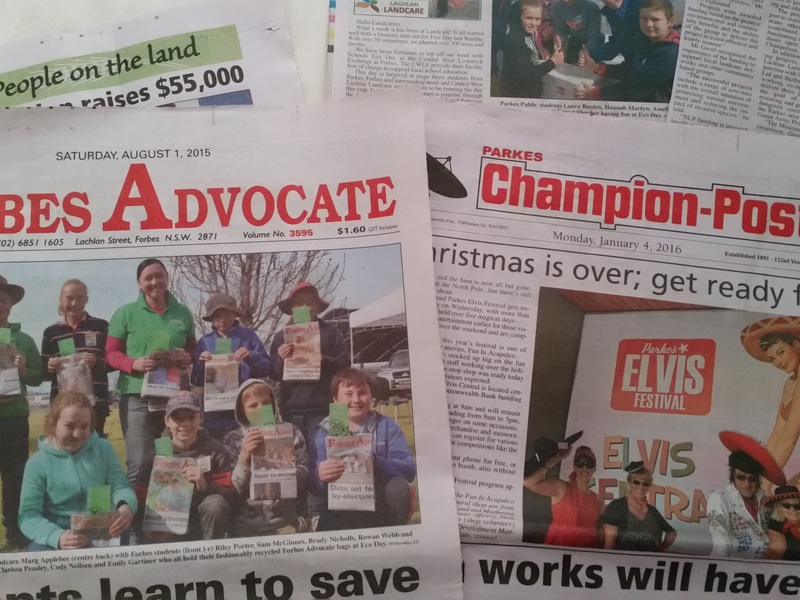 This work is possible through the Painted Snipe project, with funding made available through the National Landcare Programme that was provided by the Central West Local Land Services in partnership with Forbes Shire Council and the Central West Councils Environment & Waterways Alliance. The Painted Snipe population was previously thought to number 5,000 individuals, though it is now believed highly unlikely that the population exceeds 2,500. Although the precise rate is difficult to establish due to different survey methods, the cryptic nature of the species, and the lack of extensive surveys in the arid zone of northern Australia, the Atlas of Living Australia estimate that it is a population in decline of greater than 30% for the past 26 years (3 generations). The Painted Snipe inhabits inland and coastal shallow freshwater wetlands, occurring in both ephemeral and permanent wetlands, particularly where there is grass. Individuals have been spotted in artificial dams, sewage ponds and waterlogged grasslands. The movements of the Painted Snipe are poorly known. Sightings of individuals are erratic, and it is thought the species is likely to be nomadic in response to suitable conditions, such as floods. The Painted Snipe forages at night on mud flats and in shallow water. It feeds on invertebrates such as worms, snails and water beetles, and plant material such as seeds. The Painted Snipe nests on the ground amongst tall vegetation such as grass tussocks and reeds. Nests, which consist of a scrape in the ground lined with grass and leaves, are often located on small islands. Incubation of the eggs and brooding of the young is done by the male alone. This project, of course, doesn’t just benefit the Painted Snipe, but it is always beneficial to have a target species, particularly when it is listed as Endangered, because habitat improvement for the Painted Snipe, means habitat improvement for many animals and for our communities, who benefit from improving this special area on many levels. The important information that you need to get things happening on Saturday: registration is from 9am (this is important so that we know who we have working in the group); we will finish off with morning tea at 11am, so please bring a thermos and I’ll bring some morning tea; it is going to be wet and slippery in some of the areas that we will be working, so it would be beneficial to bring gum boots (there will be plenty of jobs for everyone, so no dramas if you don’t have gum boots); please bring some rubber gloves (remember that we will be planting around Gum Swamp). Have you managed to attend one of the many workshops that have been happening over the Central West Region in the past few weeks? The Central West Local Land Services are holding a series of Biosecurity Planning workshops for Johnes Disease changes. In our area, the workshop will be held at the Vandenberg Hotel in Forbes on Monday, 19 June between 1pm – 3pm. Please RSVP to nick.cronin@lls.nsw.gov.au or ring 02 6850 1600. Transitional arrangements for Johne’s disease in cattle end 30 June 2017. The first line of defence for producers in ensuring their property is free of Johne’s disease (JD) is with the development of a biosecurity plan. Producers who do not implement a biosecurity plan by 30 June 2017 will have a J-BAS of 0. Resources for implementing a biosecurity plan can be found at Animal Health Australia and Livestock Biosecurity Network websites. Producers who require a JBAS 7 or 8 will need to be working with their private veterinarian to develop an approved biosecurity plan. All other producers not requiring JBAS 7 or 8 are able to develop their own biosecurity plans using the online resources. Central West District veterinarians are holding workshops across the region to assist producers with this process. Other workshops are being delivered across the Central West region and include Tottenham on Monday, 19 June, Dubbo on 19 June, Condobolin on 21 June. With more news from the CWLLS camp, Chris Sweeney from Forbes has been elected as a Board member for the Central West Local Land Services Board. He is one of 34 elected board members for 11 boards over NSW. These people will join 44 people who have already been appointed over the state. The two remaining positions in the Central West Region were filled by Jenny Bradley from Armatree and Donald Scheib from Coonamble. The last National Parks Association (NPA) walk for the Lachlan Valley Branch, in this quarter, will be held on Wednesday, 28 June on the East Boundary Trail at Goobang National Park. This is a medium, 6km walk. Walkers are asked to meet at Bushman’s Dam at 9am. Please contact walk leader, Martin Bell on 0429 346 586 the evening before to confirm arrangements and to bring enough food and water for the entire day. Suitable clothing, footwear, hat and sunscreen are essential. Last but not least, it is great to have our third and final Green Army Team commencing this week. We have been fortunate to have such a good response from young people in the 17 – 24 years age group and after the important induction process is undertaken and first aid completed we are looking forward to working on local projects to improve biodiversity in the Parkes and Forbes shires and to being a caveat for these young people to increase their skills, build capacity and resilience and enable them to pursue work in our communities and contribute to our communities.